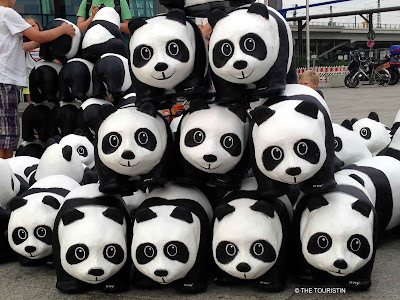 THE TOURISTIN: Berlin. 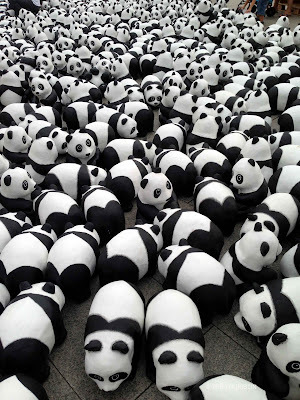 Who stole the Pandas? Berlin. Who stole the Pandas? 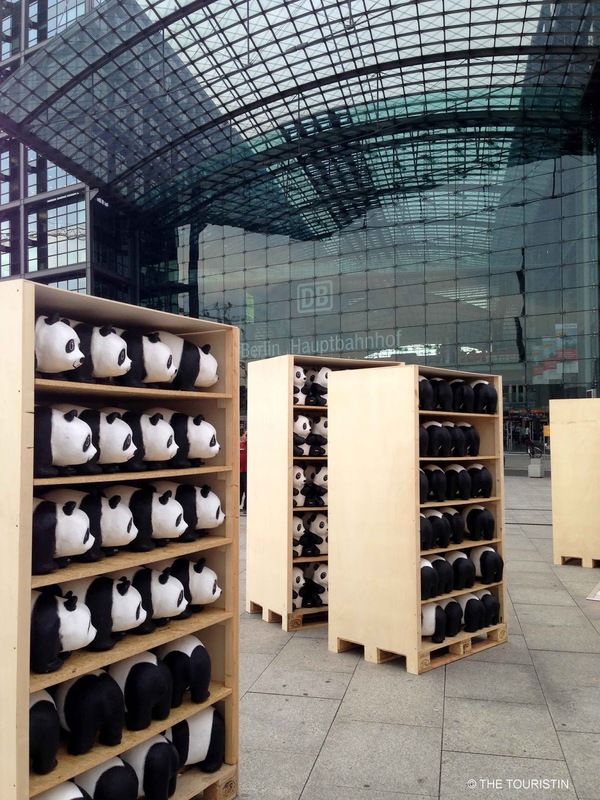 I received a message on whatsapp from my Swedish girlfriend in Australia; she excitedly told me that there are hundreds of Panda bears sitting somewhere in Berlin. She read it in the papers; in Melbourne. I was instantly intrigued, googled it and decided to find them. Pandas. 1.600 of them. All sitting on Washington Platz in front of Berlin Central Station. Why 1.600? Because the wild population is less than 1.600. 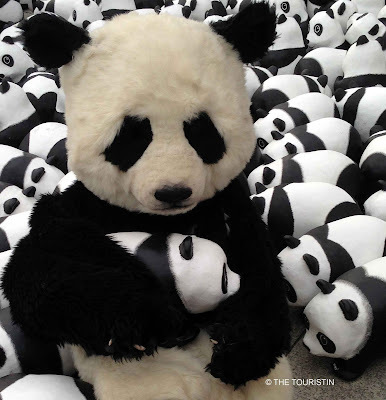 Pandas are among the most threatened animals worldwide and close to extinction. I rushed there after work not to miss the action. 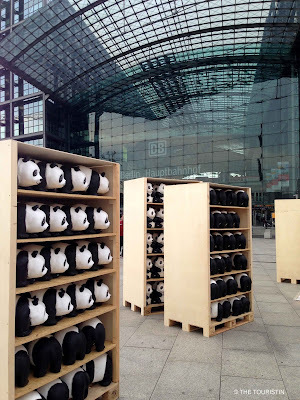 Lucky me, I just managed to see some of them; lots were already stored safely in massive wooden boxes, ready to tour 25 other cities in Germany and to raise awareness of their situation. 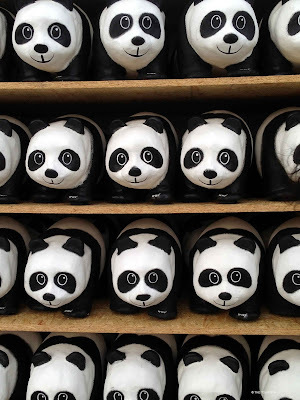 They felt like papier-mâché and I have been told by WWF members they are all made of recycled materials. 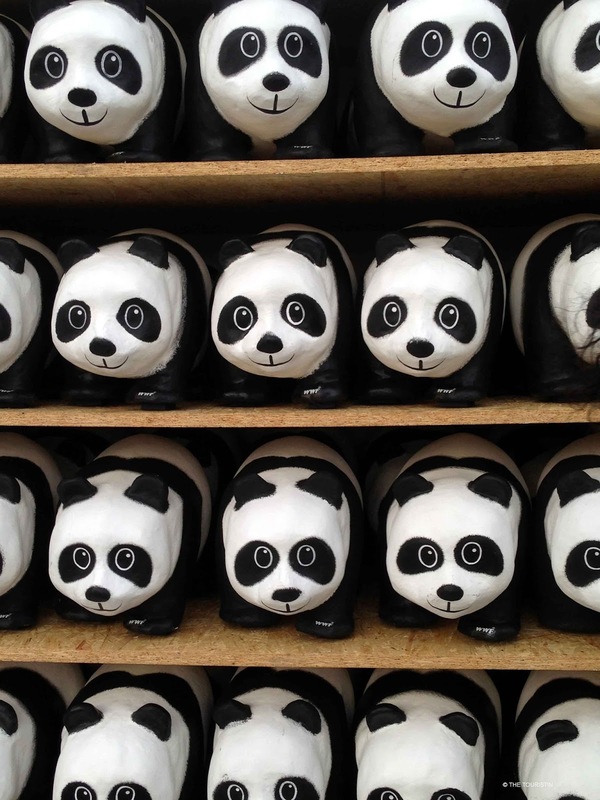 In total, ten of them were stolen apparently … or did they just run away? I reckon we will never find out. But look how cute they are, maybe they come to a place near you soon? There was even a real one. Not.